Client Lancashire County Council. Landscape Architect: Planit-IE. Contractor: Casey Group. Preston town centre needed renewal and regeneration to take advantage of new business opportunities and the growth of the university. The Fishergate project was funded by £1.38m from the European Regional Development Fund and £2m from Lancashire County Council. The aims of the Fishergate project were to improve two of the key approaches to Preston city centre, to create low-speed, attractive streets and spaces that could accommodate traffic whilst attracting more pedestrian and cycle activity. The main areas involved were the stretch from Preston railway station up Fishergate as far as Lune Street, Corporation Street from the junction with Ringway up to Fishergate, and along Ringway to the Friargate crossing. Hardscape supplied a mix of paving including Magma, Royal White, Yellow Rock, Kobra and Rustenberg granite setts and Crystal Black granite kerbs plus tactile accessories. Light and dark mix granites were used for crossing points and parking areas. 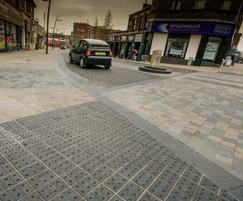 Granite was chosen for its strength due to highly-trafficked shared space areas. The project began in June 2013 and is still ongoing. 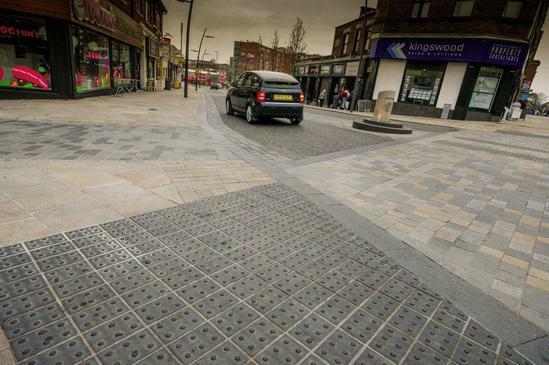 Hardscape have supplied every phase over 4 years and are proud contributors to its overall success in the heart of Preston and a great example of integrating pedestrian and vehicular traffic flow.